Israel continues to lead in the procurement of Active Protection Systems (APS). According to recent media reports, Israel's Directorate of Production and Procurement has been instructed to procure hundreds more Trophy APS from Rafael Advanced Defence Systems. Rafael's Trophy APS was first fielded on the Merkava Mk4 MBTs used by Israeli Defence Forces (IDF) in the Gaza strip in 2011, where the system is reported to have successfully intercepted RPGs. The Trophy APS also successfully repelled ATGMs and RPGs fired by Hamas during Operation Protective Edge in 2014. 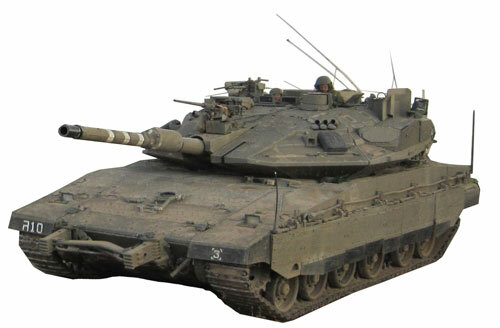 According to reports, Israel plans on fitting Trophy to all new Merkava 4 tanks and Namer Armoured Personnel Carriers. The Trophy APS addresses most kinetic threats including ATGMs, RPGs, recoilless rifle and tank-fired rounds. It can deal with multiple incoming threats and provides all-weather, 360-degree protection. However, an area of concern is the question of collateral damage. The Defence Science and Technology Laboratory in the UK, Dstl, says it is concerned about some of the defeat mechanisms used by COTS APS and their implications for the safety of dismounted soldiers or innocent bystanders. As part of its Land Integrated Survivability Programme, the United Kingdom's Defence, Science & Technology Laboratory (Dstl) is looking at an Active Integrated Protection System (AIPS). Dstl's Medusa Technical Assessment will evaluate a “high-maturity” commercial-off-the-shelf APS system integrated on a legacy vehicle platform, whilst the Icarus Technology Demonstrator Programme will develop a vehicle architecture that supports “modular AIPS” across the British Army's fleet of vehicles. In April this year, the US Marine Corps announced that it will test Rafael's Trophy APS system on its M1A1 Abrams MBT. Lt. Gen.Robert Walsh, deputy commandant of the Marine Corps for combat development and integration, stated that the threats to ground vehicles were evolving rapidly, and that instead of waiting for TARDEC's MAPS project to produce results, a solution was needed much sooner. The US Army is also reported to be “fast-tracking” the testing of various APS systems on board its vehicles. BAE Systems Hägglunds in Sweden is integrating an APS onto its CV90 platform for a customer.